WILLS POINT, TEXAS (ANS) – Gospel for Asia (GFA) was born 40 years ago when K.P. and Gisela Yohannan felt the call of the Lord on their lives to minister to the people of Asia in His name. Even before His specific calling was clear—and every day thereafter—their commitment has been to walk in the beauty of God’s holiness and trust Him to direct their paths. No one could have imagined in 1979 how the Lord was going to bless GFA (Gospel for Asia) as one of the most effective faith-based organizations in the world. Yohannan, a skinny 29-year-old at the time, could have continued to pastor churches in the comparative comfort of the United States. But that was not the way the Lord was telling him and his wife to go. In fact, the way He was telling them to go was humanly impossible. Looking back to 1979 and the founding of Gospel for Asia, K.P. and Gisela would acknowledge that they knew the path they were to follow, but they had no idea what marvelous and miraculous blessings the Lord had awaiting them along the journey. Here are just a few of the impossible tasks that have become milestones marking 40 years of passionately sharing the love of Christ. Originally entitled The Coming Revolution in World Missions, K.P. Yohannan’s ground-breaking first book was published. 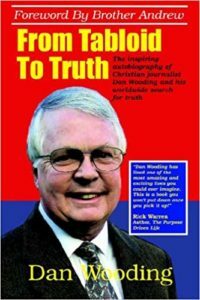 More than 4 million copies of the book that accurately foretold the coming change and the need to support national workers have been distributed around the world. Measured on its impact on the new pattern of world missions alone, Revolution in World Missions must certainly be numbered among the most important discourses in the history of world missions. Analog, digital and online radio continues to be an effective way to share the Good News—often in remote parts of Asia where national workers have not yet visited. Throughout the years, programs have been broadcast in 110 languages. The Lord impressed upon Dr. Yohannan that enabling mobile teams showing movies and telling people about Jesus in remote places is a powerful way to share the love of Christ. Mobile Teams were the fulfillment of that vision to reach oral learners in remote locations. 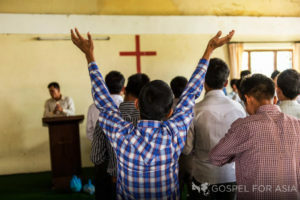 Christ-centered literature and Gospel tracts are an effective means to communicate the hope found in Christ, but the expense of printing can quickly become prohibitive when the numbers of those who do not know of Jesus in Asia are in the multiple millions. GFA is committed to producing Bibles, New Testaments and millions of pieces of Gospel literature in order to share the love of Christ. Gospel for Asia’s ministry to the slums began in four major cities in Asia. Today, many GFA-supported workers serve in slum neighborhoods, bringing hope by living out and sharing His sacrificial love. GFA-supported workers conduct free medical camps and teach basic hygiene and preventive health measures. They provide literacy classes for adults, conduct tutoring classes for children and hold weekly Sunday schools and have established hundreds of local fellowships, and thousands have heard the love of Christ. GFA-supported Jesus Wells provide water to people living in villages that have no immediate access to clean water. The water is available free to all residents in the name of Jesus, from whom the springs of living water are freely available to all. Bridge of Hope centers now provide more than 70,000 needy children a daily meal and regular medical checkups for their physical health and development. It also helps children with their education and provides them and their families with simple necessities of lif, such as toiletries and pots and pans. Bridge of Hope provides children trapped in generational poverty with opportunities to pursue and even excel in their God-given skills and interests. Caring for those who have leprosy is a particular concern for Gospel for Asia as about 60 percent of the world’s documented cases occur in South Asia. What started as a handful of men and women pursuing opportunities to care for outcasts is now a ministry that serves 44 leprosy colonies, bringing hope and love to hurting hearts. Be sure to read GFA’s special report on Leprosy. “Veil of Tears,” is a feature-length documentary film that tells the untold story of millions of women in India who are culturally persecuted for no other reason than the fact that they are women—and what God is doing for them through GFA-supported women’s ministry. The Mission Support Team program gives people in the West an opportunity to partner with behind-the-scenes missionaries serving in GFA’s U.S. office. Behind-the-scenes missionaries serve in administrative roles and actively intercede for the communities and national workers with whom their lives are linked. We can only wait and wonder with great anticipation what the Lord has in store for GFA in the days ahead.